In 1921, President Wilson and his wife, First Lady Edith, moved out of the White House. Wilson had had a busy tenure as the leader of the United States. During this time, he had reduced tariffs, created the federal reserve system and bolstered the Labor Department’s operations. Now, he was ready to retire from the public view and live as a private citizen. The home in which they moved had only been built six years prior to their arrival by architect by Waddy Butler Wood. From the outside, this elegant home, known as the Woodrow Wilson House, blends in with its surroundings. Yet, it hides its rich interiors. Some of the more notable features of the house include the marble entryway and grand staircase, Palladian window, book-lined study, dumb waiter and butler’s pantry, and solarium overlooking the formal garden. Sadly, Wilson himself passed away in 1924, after having only lived in the house for about three years. However, his wife continued to live in the home until her death in the 1960’s. Before she died, she ensured that her home would be preserved to honor the memory of her illustrious husband. Within the home’s collections are state gifts, priceless pieces of art, and rare photographs. 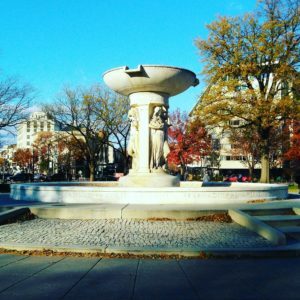 In the last quarter of the 19th century, the Dupont Circle area became known for its upscale, beautiful mansions. The wealth of many photos at the Library of Congress can attest to these palatial residences. However, few have survived to the present day. Yet, the Heurich House stands as a testament to architectural innovations of its time. Christian Heurich, a German immigrant, was a notable philanthropist and brewer in the area. When he first moved to the United States, he only had $200 dollars on his person. With firm application and determination, he founded the longest-running brewery in the district. In time, he also became the second-largest landowner in the district. He also offered the most employment opportunities in the area after the government itself! With his wealth, he built the Heurich House, also known as the Brewer’s Mansion. Construction of the mansion finished in 1894. He and his family lived in the home until his wife’s passing in 1956. A time capsule, the mansion features contemporary, state of the art finishings and appliances. These features include fireproof architecture, indoor plumbing, a lift, a central vacuum system, and gas and electrical fixtures. In addition to these luxuries, the home itself is stunning. Ceilings were hand-painted, fireplace mantles uniquely carved and extensive family collections attest to the family’s wealth and taste. 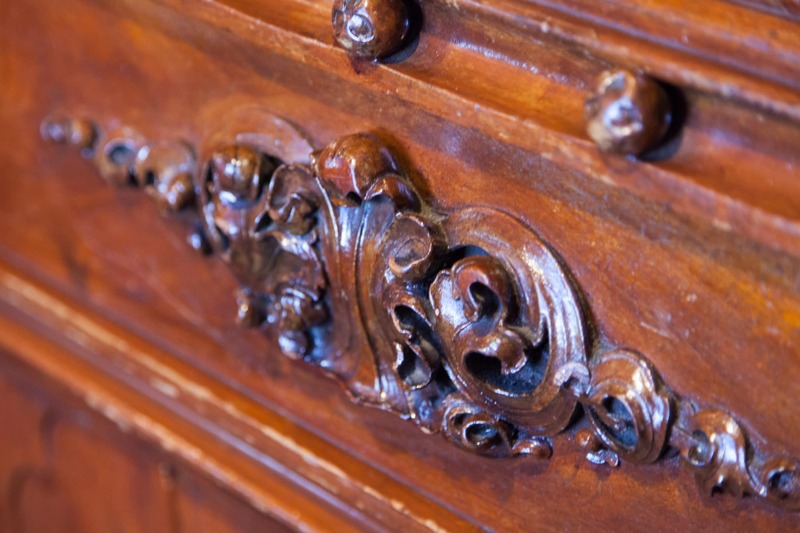 Each of the 31 bedrooms was opulently decorated and have been maintained in their original state. Each of these homes is within walking distance of American Guest House, so no need to use public transportation! Moreover, each house is budget-friendly. 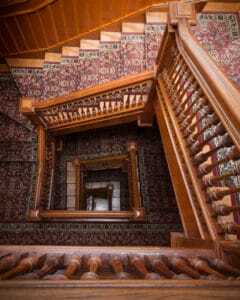 The Woodrow Wilson House is $10 for each adult, with discounts for children, students, sr Members of National Trust for Historic Preservation The Heurich House suggests that reservations be made ahead of arrival. The museum asks that guests consider a $10 donation towards the upkeep of the home. Before you head out for the day, we suggest that you take advantage of our complimentary breakfast. American Guest House is known amongst its patrons for its scrumptious breakfasts. With Cherry Blossom season right around the corner, book now before we fill up!